Use today’s simple MapMaker Interactive map to help students understand land-use patterns in Iceland. Teachers, scroll down for a quick list of key resources in our Teachers Toolkit, including a link to today’s video and MapMaker Interactive map. Experiment with layers to understand land-use patterns in Iceland. A thousand years ago, land cover in the isolated island nation of Iceland was up to 40% forest. Why are forested regions so rare today? construction material. Norse settlers used timber from Iceland’s birch forests for as construction material to build homes, churches, schools, businesses, and, possibly, beautiful boats. Iceland is a wintry island that gets as much as 2,000 millimeters (80 inches) of rainfall a year. Why has deforestation put it at risk for desertification? Desertification is kind of a misleading word. Desertification does not make a forested area into a desert. Deserts are fantastic and fascinating natural ecosystems, with a rich array of uniquely adapted biodiversity. Desertification describes the process of natural vegetation being removed from an area more quickly than plants and animals can adapt. Loss of vegetation (such as trees, shrubs, and flowers) is the leading factor in the desertification process. Plant roots anchor and aerate the soil, as well as enrich it with nutrients. In areas with little vegetation, fertile topsoil is much more likely to erode—be blown away in high winds or washed away in flash floods. In addition to storms and floods, Throstur Eysteinsson, the forester in the video, also mentions “frost heaves.” Frost heaving describes the process of ice from an area’s frozen water table growing toward the surface, disrupting soil consistency and sometimes leading to sinkholes and cracked surfaces. Erosion exposes hardpan—a hard, impervious layer underlying fertile soil. The land is “basically ripped open, and the soil is exposed,” according to Eysteinsson. Imported steel alleviated the pressing need for charcoal in the 1970s. Why didn’t the forests grow back naturally? Constant grazing of livestock such as sheep, cattle, and swine prevented vegetation from growing back. Icelanders plant about 3 million seedlings every year. Why are they planting non-native seedlings instead of native birch, rowan, and aspen trees? productivity. Foresters actually are planting birch trees, although in smaller numbers as they are less productive (slower to grow, and producing less viable timber) than non-native species. Rowan and aspen have always been relatively rare. climate change. Winters have grown increasingly warmer. Birch and even exotic species such as Siberian larch cannot tolerate the consistently warmer climate. In determining the best trees for reforestation and afforestation, foresters must consider factors such as how much heat the trees can endure in the summer, their drought tolerance, and how sensitive they are to sudden temperature changes. 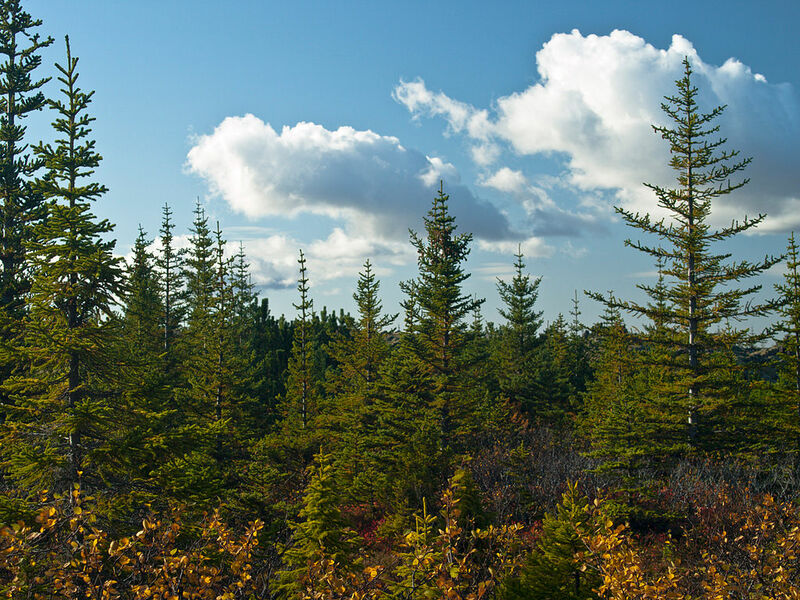 Sitka spruces like these at a plantation near Reykjavík, are among trees that are reforesting Iceland. Next Next post: Womyn’s/ Womxn’s/ Women’s Herstory Month!